On November 16, at the UN Climate Conference in Marrakech, the annual review on the Climate Change performance Index was presented; the study on the climate policies and actions of states was carried out by the Germanwatch Organization with participation of more than two hundred experts from various countries including experts from the Climate Secretariat of the Russian Social and Ecological Union. According to the review, Russia has preserved its “non-honorable” 53rd place. 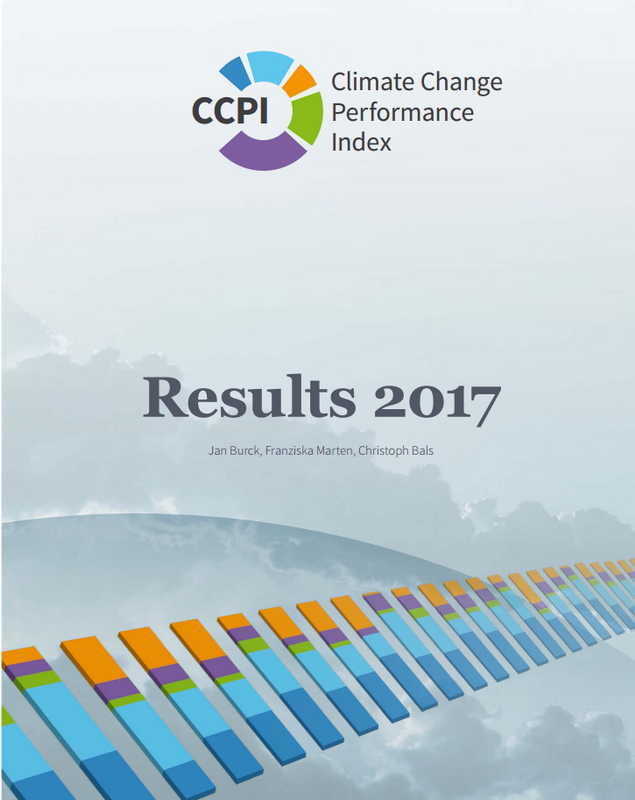 The Climate Change Performance Index is composed on the basis of a whole series of factors. They include fifteen indicators under several groups: levels of greenhouse gas emissions, their current and forecast dynamics, energy efficiency, development of renewable energy, internal and foreign climate policies. The rating is calculated for the countries each of which is responsible for no less than 1% of global emissions. The host country of the UN Summit got to the top, the fourth line of the rating, due to its diplomatic success: a year ago, the Paris Agreement was adopted exactly in France. The fifth and the sixth places in the rating belong to Sweden and the Great Britain. Morocco, the country hosting the present summit, occupies the 8th place. The CNG has upgraded its rating, and its success was stipulated not by diplomatic victories but intensive growth of investments in renewable energy sources and its ambitious mid- and long-term goals. Morocco is an absolutely uncontested climate leader in Africa. Ukraine had risen from the 46th to 45th place being able to focus on right landmarks in its energy policy in the period of crisis. The U.S. had remained on its previous modest 43rd position, similar to China’s 48th line, where though some trends for emission reduction and renewable energy sources development begins to take shape, the overall national plans remain at the low level. The last countries in the rating of climate liability are Kazakhstan, Japan, and Saudi Arabia. According to all previous ratings, RF is in the “red” zone of very bad results since 2011. This year, Russia, the source of 4.53% of world emissions, has preserved its 53rd position in the Climate Change Performance Index with a slight tendency for emission growth as compared to the previous year. The barrier for advancement in the rating for Russia is its low obligations on emission reduction and the small quota of RESs in the power generation. Exactly these obstacles are the subject of criticism of Russia’s position from the part of public environmental organizations. Germanwatch experts traditionally presented their report in parallel with the start of the “high segment,” i.e., the Minister Session of the climate negotiations, thus leaving the politicians a chance to take constructive positions and assume responsibilities for the countries’ inputs in the global emission reduction.